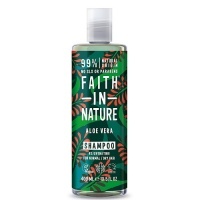 Infused with citrus oils, this wonderfully uplifting conditioner containing active organic Aloe Vera is the ideal pick-me-up to start your day. 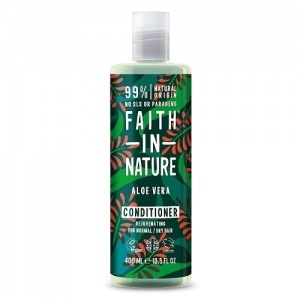 Faith in Nature Aloe Vera Conditioner is a strengthening conditioner for normal to dry hair, high in active Organic Aloe Vera which contains many enzymes, amino acids and polysaccharides shown to be beneficial to hair and scalp. It regenerates hair and balances sebum oil production from the scalp, ensuring hair is not too dry or oily. 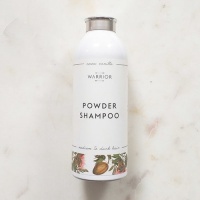 A gentle conditioner with natural ingredients that leaves your hair squeaky clean. 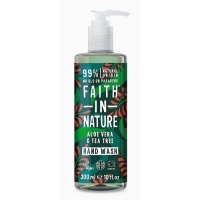 It works really well, better than expected, my hair is lovely and soft after washing, I use small bits all over my hair rather than one large bit.